While distinguishing the difference between fully automatic and semi-automatic automated external defibrillators, AED.com recommends an easy-to-use AED for general public use. 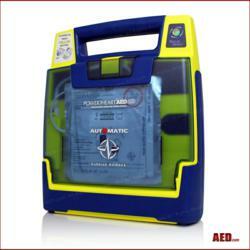 An essential feature of an automated external defibrillator (AED) is the fact that it is automatic. Unlike a manual defibrillator that is used by trained medical personal, an AED is specifically designed to be usable by a layperson. The Cardiac Science Powerheart G3 is an AED that was made with those kinds of users in mind. The AED is designed so that when it is hooked up to a victim of sudden cardiac arrest, it automatically analyzes whether or not a shock is needed. A voice will then instruct the rescuer on what to do and if they need to administer a shock, thus reducing any fear of not doing it correctly. Also available is a fully automatic option, so that all the rescuer has to do is hook up the AED and it will both determine if a shock is needed and give one without the user pushing a button. “I trust this unit and have read story after story of rescuers saving a life with the Powerheart G3. I feel that even if a lay person hasn’t been trained in CPR/AED usage, they could easily follow the voice instructions and save a life,” said Justin Darby, Director of Marketing at AED.com, who keeps one in his car at all times. Recently, Chicago Metra announced that they will be working with Cardiac Science to equip their passenger cars, work facilities, and police vehicles with 470 Powerheart G3’s. Metra reported 82.7 million passengers last year. With each train equipped with an easy to use AED, future passengers are safer from the threat of cardiac arrest. 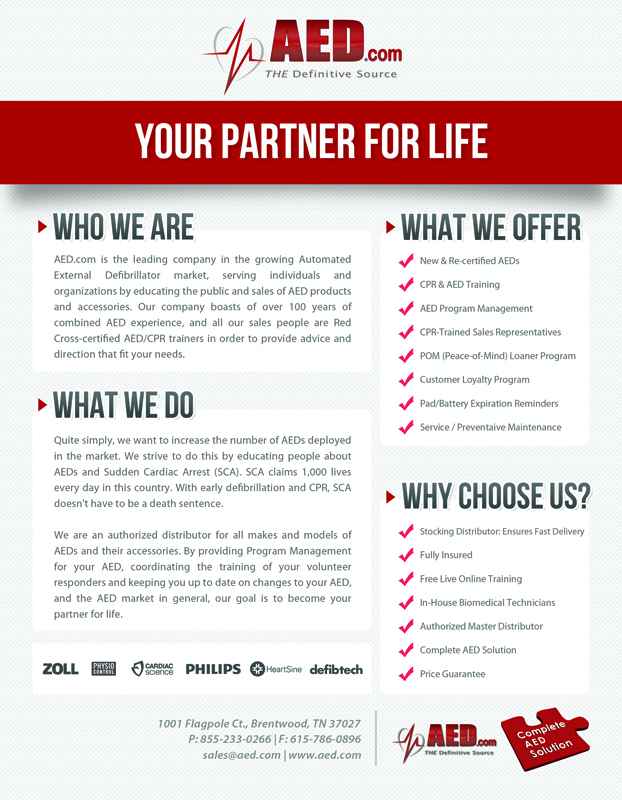 AED.com stocks, sells, re-certifies, and services AEDs from Cardiac Science, Zoll Medical, Physio-Control, Philips Medical, Defibtech and Heartsine.